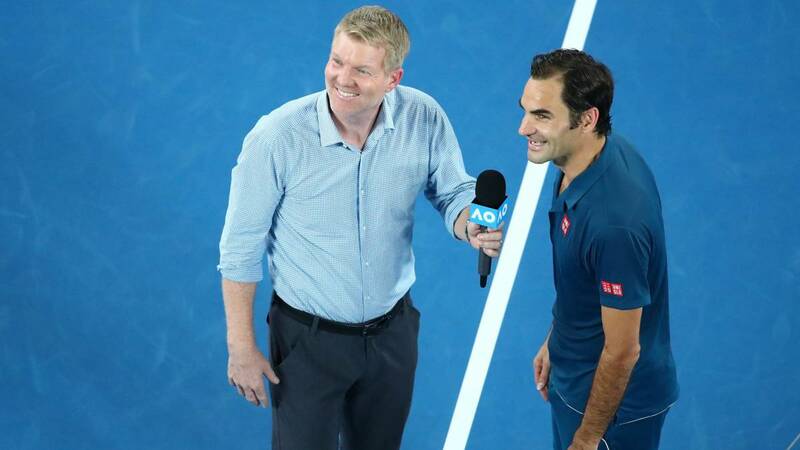 Home Tennis Federer, about Muguruza's match: "It's not ideal, but it also has no solution"
Federer, about Muguruza's match: "It's not ideal, but it also has no solution"
Roger Federer answered like this when they asked him if it was good that the match between Garbiñe Muguruza and Johanna Konta ended at 3:12 in Melbourne. Roger Federer is used to speaking without problems of all the questions asked in each press conference. Always friendly and willing, the Swiss chatted with reporters after defeating Taylor Fritz and, among other things, answered a question about the match between Garbiñe Muguruza and Johanna Konta that started at 00:31 in the morning from Thursday to Friday in Melbourne and ended at 03:12. "It's not ideal", said the Swiss , although he was conciliatory with the Australian Open when reflecting on the situation. "These things can happen when you schedule a male match before and it gets longer, as happened with Zverev Chardy's . They could have moved one of the tracks outside Garbiñe, but the atmosphere would have been sad, "said Federer, who alluded to possible compensation. "The next day you can play late again so you do not lose the rhythm, somehow accommodating the situation." "I myself, the first day, went to bed at 03:30, although I did not finish playing This is what happens with the tennis players, we have to be flexible because many times we do not know when we are going to play.When I was a junior I did it two or three times in the same day.It is part of our life and I do not think it has solution ", concluded the Swiss.